UFC Champs' Challenge: Bisping vs Woodley? » MMA H.E.A.T. UFC Champs’ Challenge: Bisping vs Woodley? 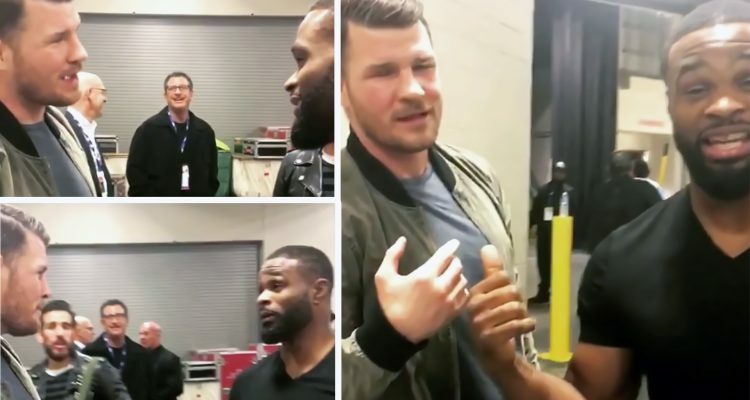 Backstage after UFC 207, UFC Welterweight Champ Tyron Woodley challenged UFC Middleweight Champ Michael Bisping to a catchweight fight. They shook hands. So let’s see if 2017 brings us this UFC Super Fight! If so, who would you take? No Comments on "UFC Champs’ Challenge: Bisping vs Woodley?"